On the 24th of November as part of the History Society’s commemoration of the end of the Great War there will be showing of Steven Spielberg’s film War Horse in the Manuden Village Community Centre. 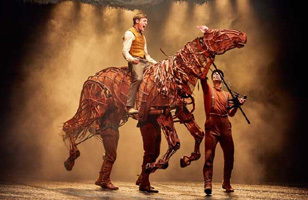 Before the film and to bring a local context to it, Matt Burgess, who was brought up in Manuden, will be talking about his experience in the London Theatre production of War Horse and how extraordinarily it linked to his own family. Entry will be £5.00 for the talk and the film - there will be a bar but we advise people to bring their own snacks and nibbles, it is a long film! The evening will start at 6:45 pm in the main hall.